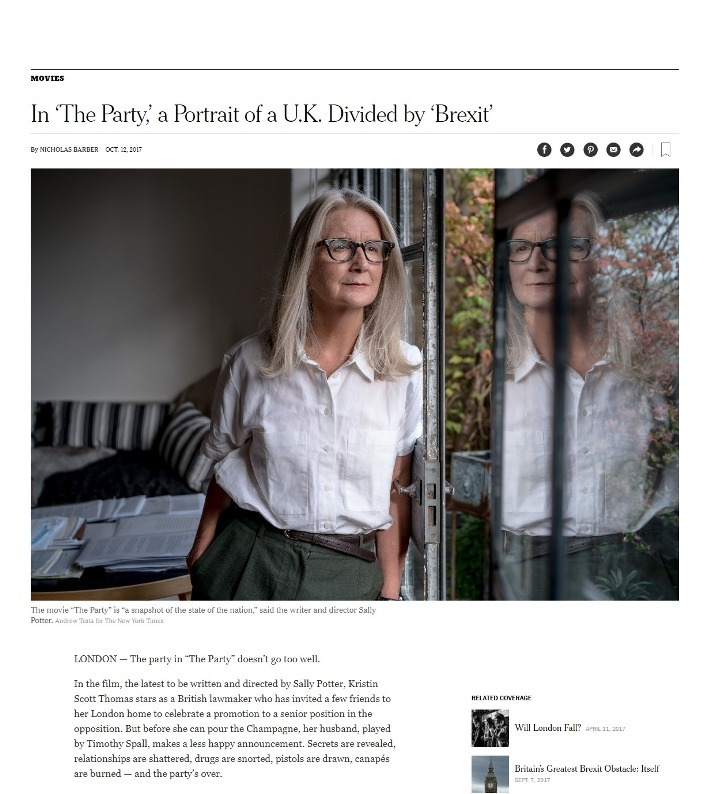 LONDON — The party in “The Party” doesn’t go too well. The year of the Cuban missile crisis and CND protests here in the UK, 1962 was a pivotal time for the young Sally Potter, then just entering her teens. Fifty years on, the writer-director has revisited the era and the passions of adolescent friendship in her new feature 'Ginger & Rosa'. Naked Cinema: Sally Potter seeks a more intimate medium. Sally, the character as a struggling tango student is so real, that it's easy for us to identify with it. 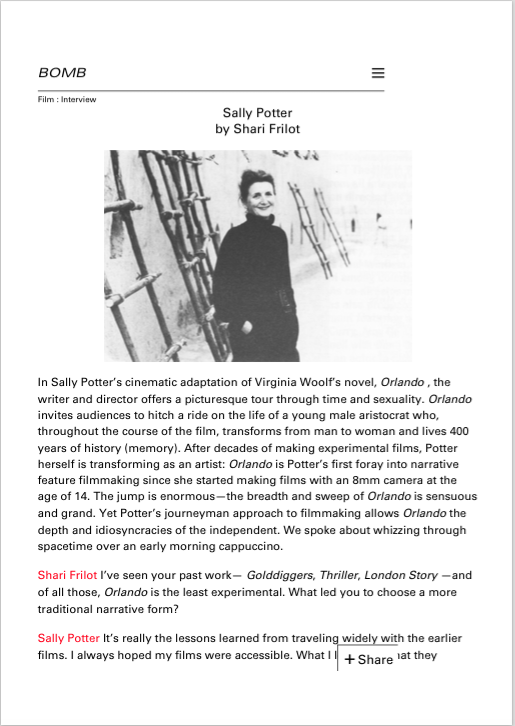 Although we had never met Sally Potter, it was like meeting an old friend. 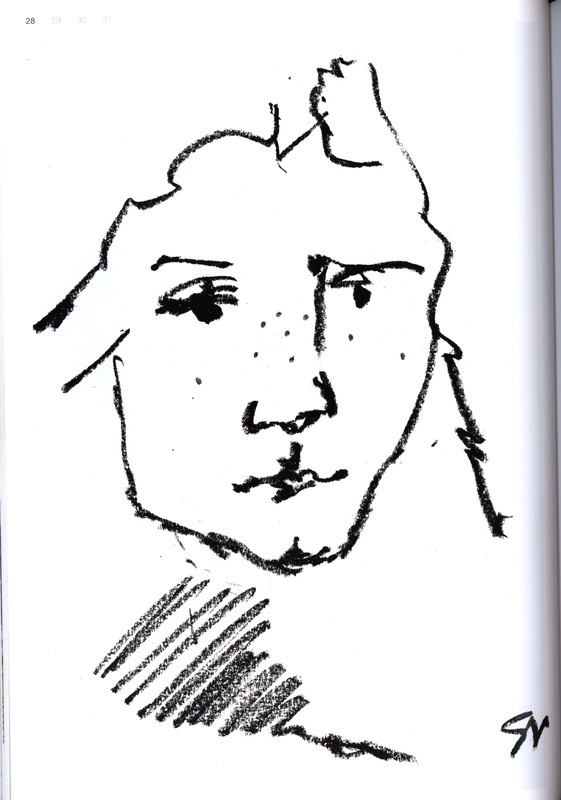 She's a lovely lady, deep, sensitive and void of any affectation. In Sally Potter’s cinematic adaptation of Virginia Woolf’s novel, Orlando , the writer and director offers a picturesque tour through time and sexuality. 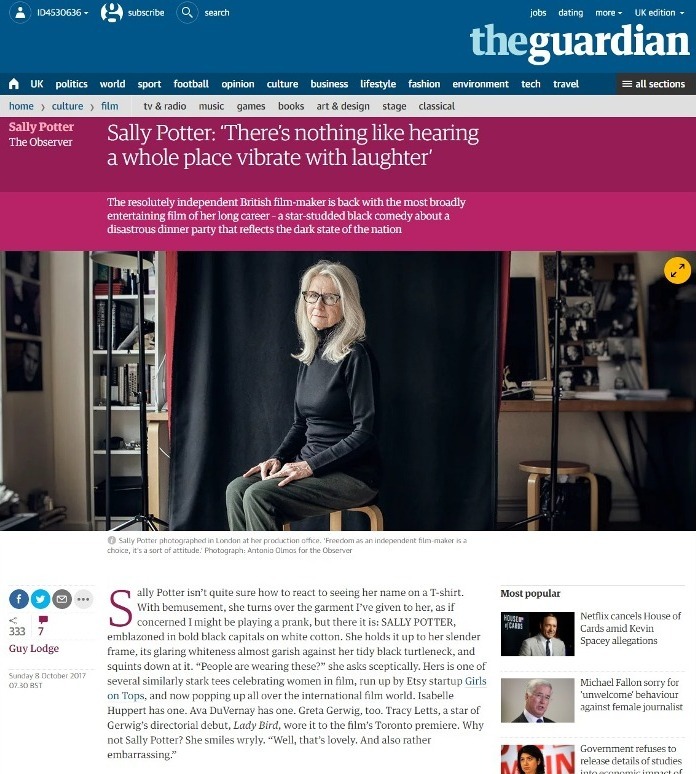 'There's nothing like hearing a whole place vibrate with laughter'. "Sally Potter arrived at filmmaking after a full decade spent working as a dancer, musician, and choreographer; a background that can be detected—hidden in plain sight—in almost all of her films." 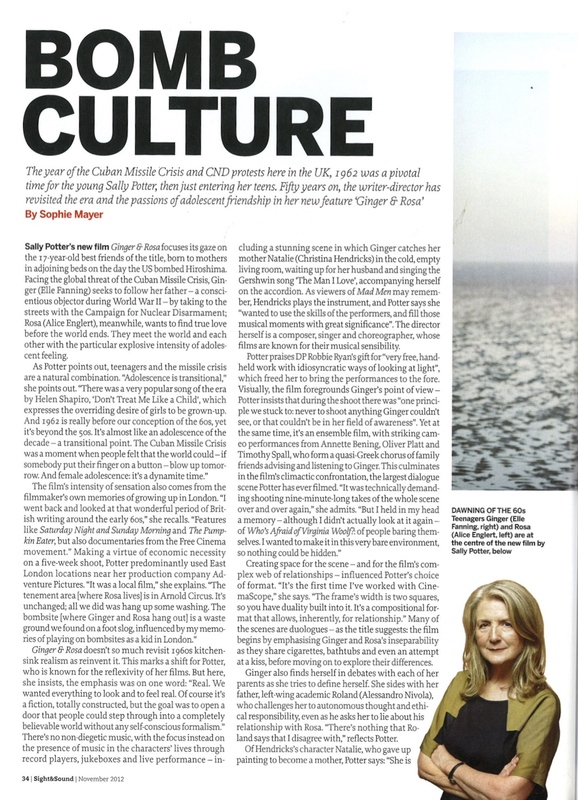 "Daring and provocative, British director Sally Potter has always been an outsider. 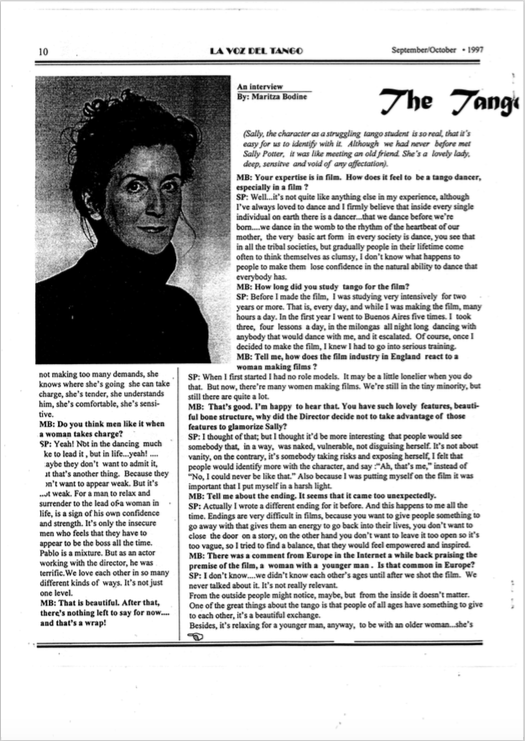 She once made a film with an all-female crew (‘Gold Diggers’) and once told a story entirely in verse (‘Yes’). Her most successful was 1992’s ‘Orlando’, Tilda Swinton’s breakout film. But the 63-year-old filmmaker’s new film, ‘Ginger and Rosa’, might be her most accessible yet." By Caryn James, July 2010. Some art-house directors make a splash and then sell out. Not this one. 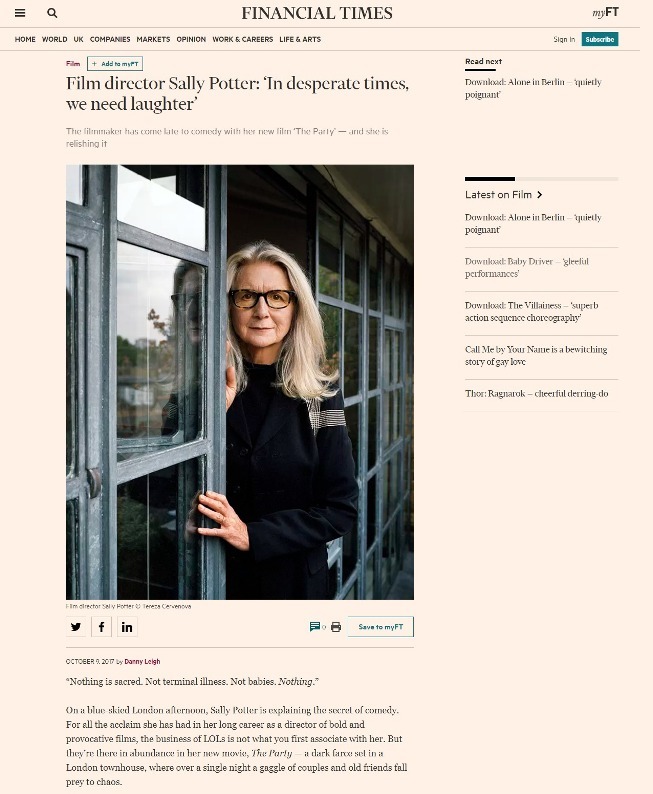 "In desperate times we need laughter"
Sally Potter is waging war on cinema. her new film Rage, breaks just about every cinematic convention going with its stark style and relentless straight-to-camera, talking head performances. 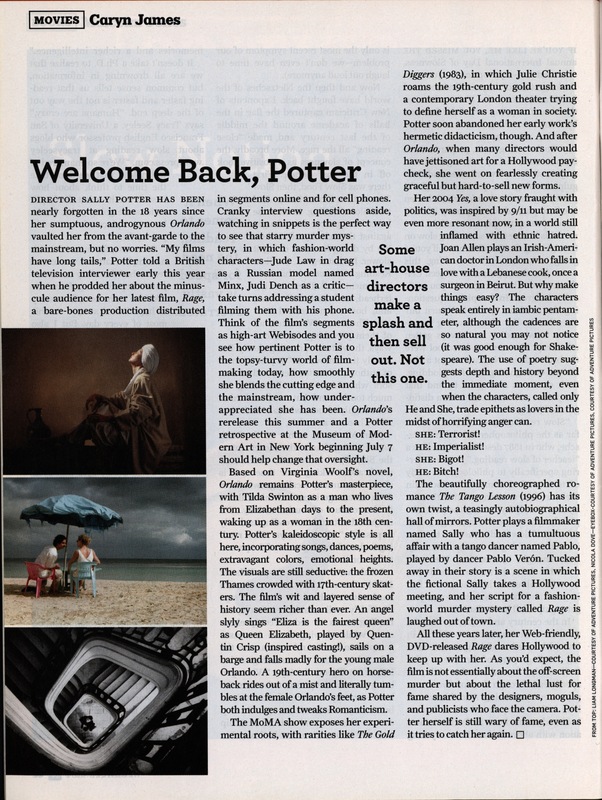 The Guardian: Sally Potter: "There was no such thing as an Easy Ride"
In the late 1980s, Sally Potter was scratching around for funding to make Orlando, the Virginia Woolf adaptation widely considered her finest film, as well as a formative moment in the career of its star, Tilda Swinton. Potter's friend, the visionary director Michael Powell, had secured her a 10-minute meeting with Martin Scorsese, in which she hoped to convince him to extend a helping hand to a fellow maverick. Filmed almost entirely in black and white, Potter dazzles us with hauntingly beautiful images that sear across the screen and brand the audience's senses with desire and longing for love, music, and passion.